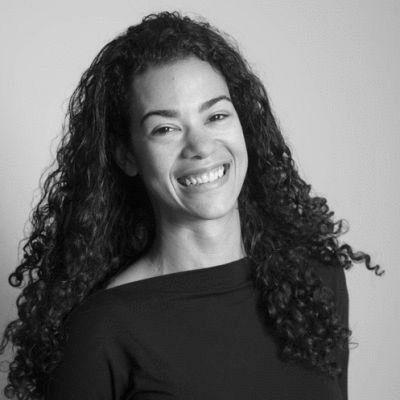 Tracy Cutchlow was an award-winning journalist for more than a decade. Her work was even a finalist for the Pulitzer Prize. 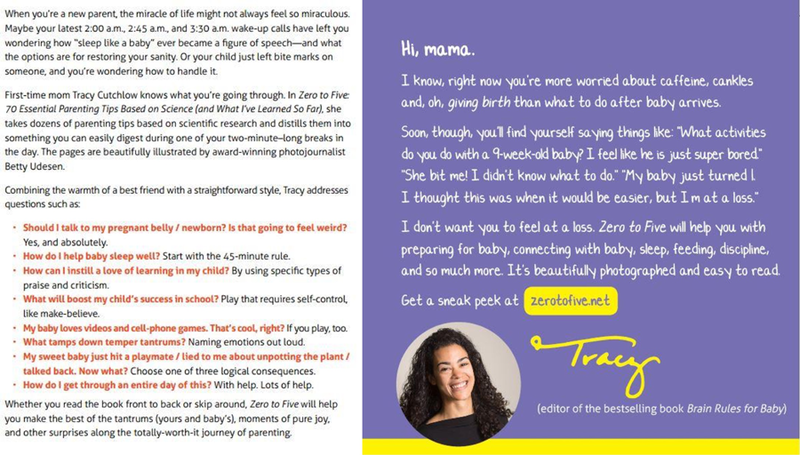 But, in 2012, Tracy left her successful career to do something completely different: become a mom full-time. 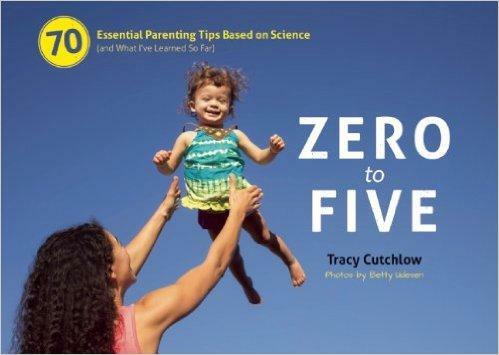 Her background as the editor of two bestselling brain-development books helped prep her for some aspects of being a mom. But like most new parents these days, she’d spent about 15 minutes around newborns before having her own. Six months later, she decided to write the book herself. What did the best research say about getting a baby to sleep through the night, how much your kid eats, potty training, the best strategies for discipline, and how to boost brain development? She wanted to know for herself. She figured other parents did, too. So she summarized that research into practical, bite-sized tips. And that became her book. Writing the book was challenging enough, but once the book was written, Tracy hit a huge roadblock: marketing the book. As a journalist, she’d always focused on writing great content, grateful she didn’t have to pay attention to the sales side of things. But she grew determined to find the best way to launch her book and help as many parents as she could with her advice. Tracy started researching book marketing online when she realized she already knew the best person to help. What she appreciated right away was the program’s “hold-you-by-the-hand” approach. In the course, Tracy learned how to overcome her fear of self-promotion and her self-doubt. Tracy launched a website to help market her book and started writing weekly blog posts. Because of what she’d learned, she quickly went from zero to more than 1,000 subscribers in just 3 months. And over the course of a year, she nearly quadrupled the size of her email list to just over 3,800 subscribers. The first thing she did, after learning how to do deep customer research, was to rewrite her website home page and other marketing material. Here’s the transformation her marketing copy went through after going through the course. So far, Tracy’s book has earned $130,000. But what she finds even more rewarding is that she’s created something much bigger than just another parenting book — she’d building a real business that helps real people all over the world. Since launching her site and increasing her book sales, she’s also gotten much more exposure and attention to her brand. She’s written viral stories for the Huffington Post and the Washington Post. She’s been invited to speak at events to teachers and new parents. And she plans to take what she’s learned from Zero to Launch and build an online course that could help even more parents. Even if you’re afraid you don’t know how to market your idea—even if you don’t have an idea—we will take you from Zero to Launch. Tracy did it, and you can, too. Check out this free downloadable PDF of 30 successful online businesses you can model. From training cats to use toilets to teaching people to use computers, in this guide you’ll see many examples of the weird (yet successful) ways people are earning good money online. Get started with these 30 successful online businesses you can model today.